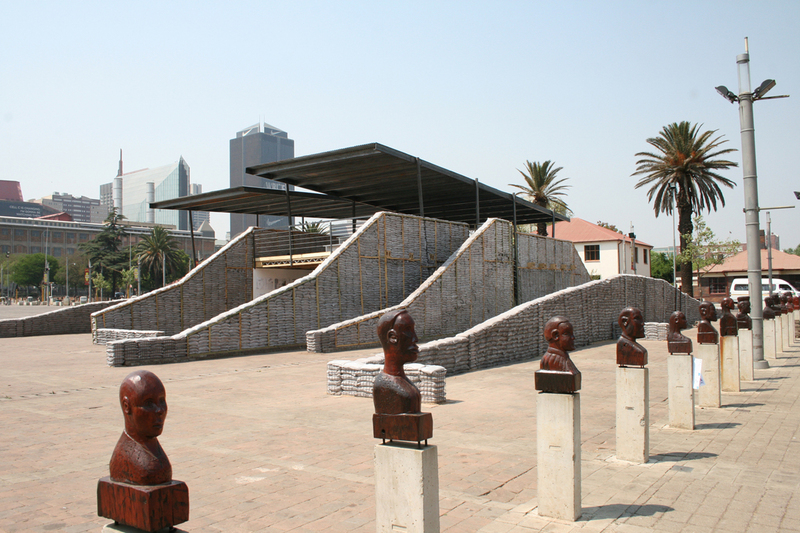 Sarah Calburn was the Program Director of the first South African Biennale of Architecture in 2010. 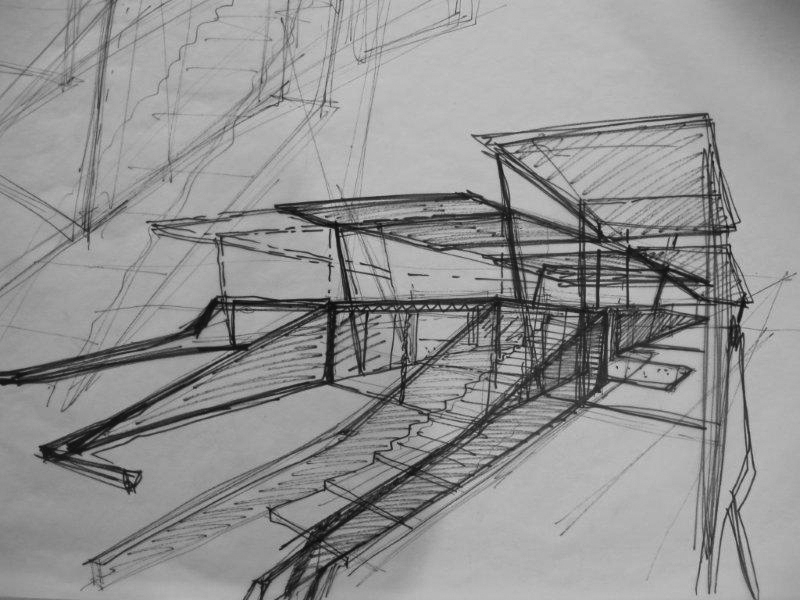 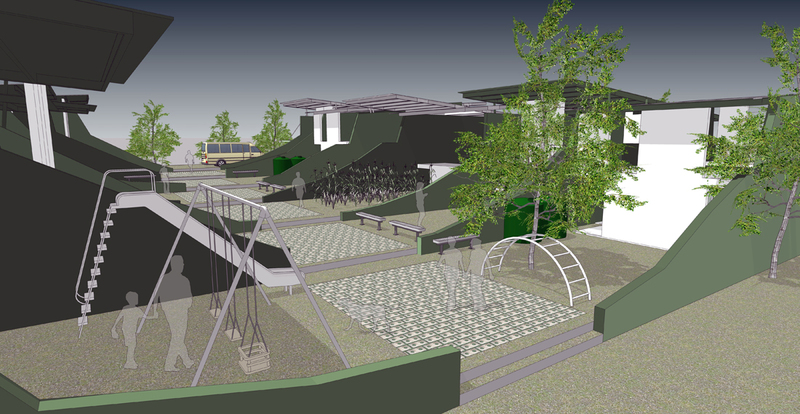 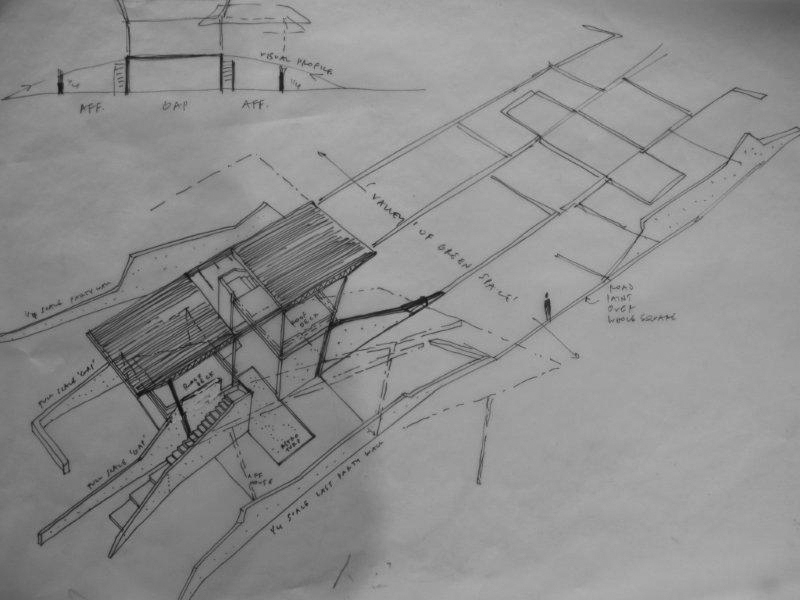 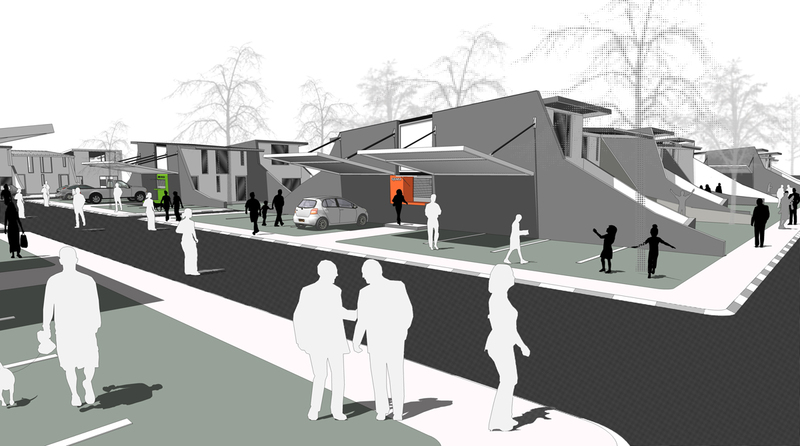 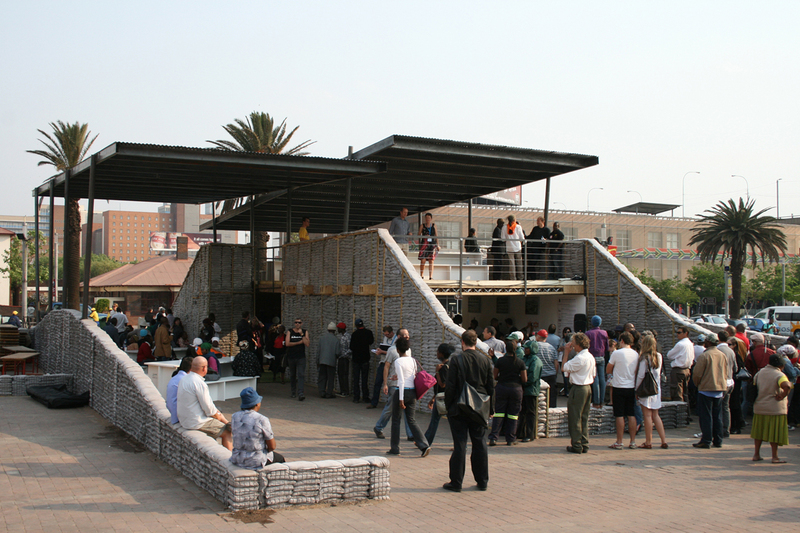 Questions around sustainability and the innovative provision of social housing were part of the agenda, which generally constituted a re-imagination of Johannesburg. 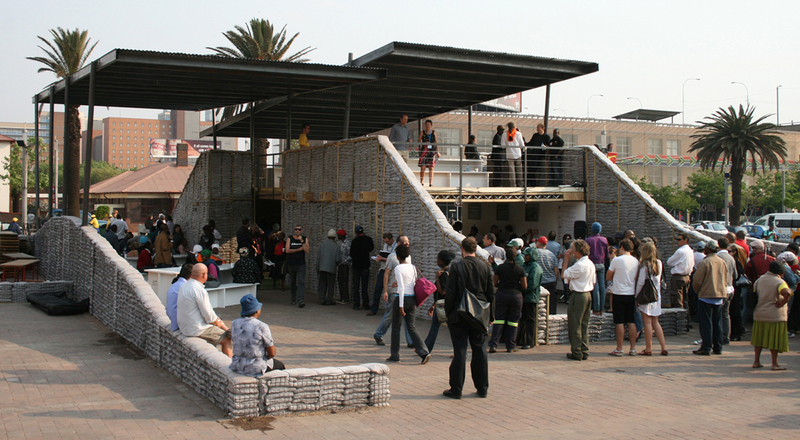 With her partner Dustin Tusnovics, Space Matters constructed a ‘pavilion’ on Mary Fitzgerald Square, which aimed to demonstrate the realistic provision of a ‘gap’ / ‘rdp’ house in an Integrated Housing Model using innovative cement-free building materials at the same time as providing a seminal architectural structure in the manner of ‘Festival Pavilions’ world-wide. 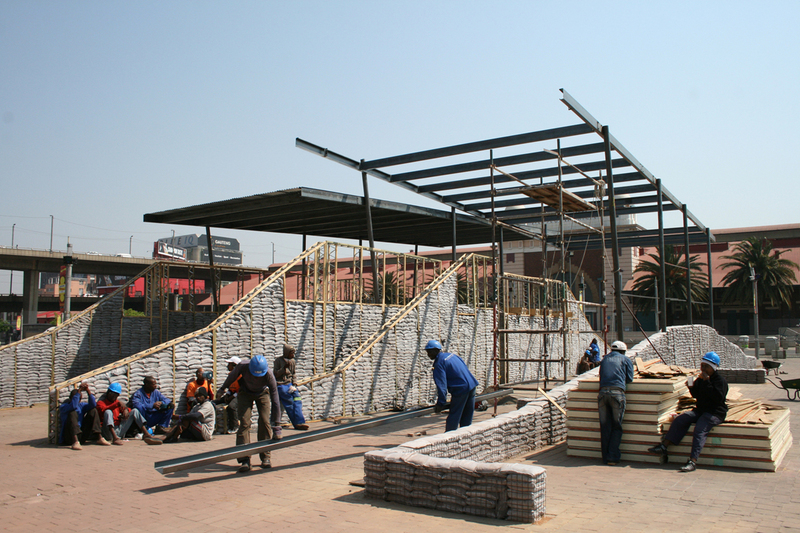 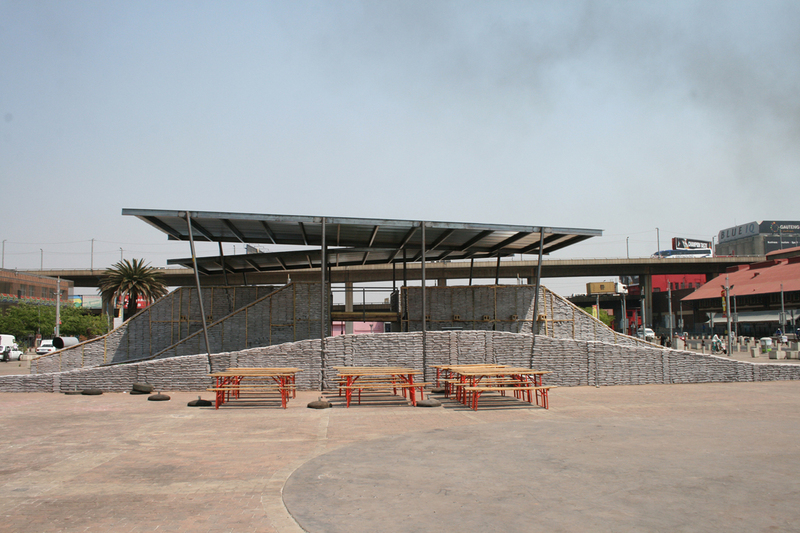 The Pavilion was built by teams of women and teenagers from a local squatter community (TinaSonke on the East Rand, organised via the Federation of the Urban Poor (FEDUP)) who through this process gained “on-site training” in sandbag construction . 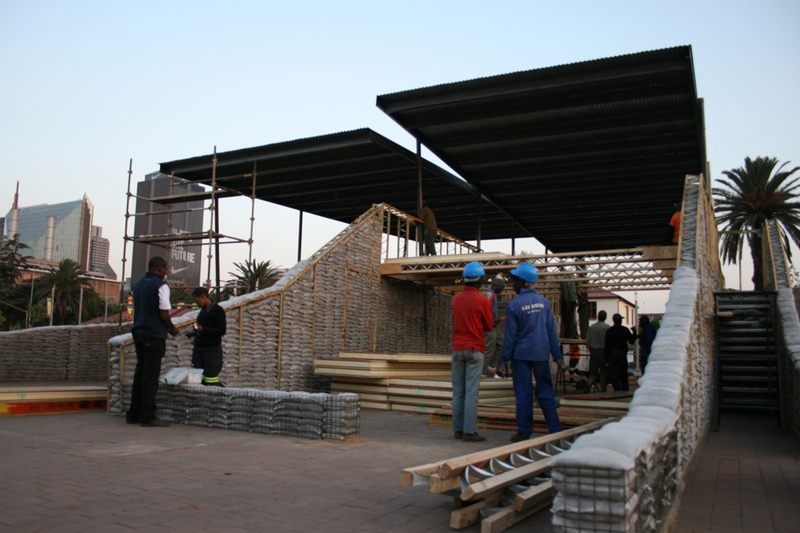 The Pavilion was dismounted by these same teams for re-erection in their community as a community centre.